Return with us now to those thrilling days of the 15th century, when Leonardo was designing stuff you wouldn't have thought of even if you'd paid attention in class and applied yourself. 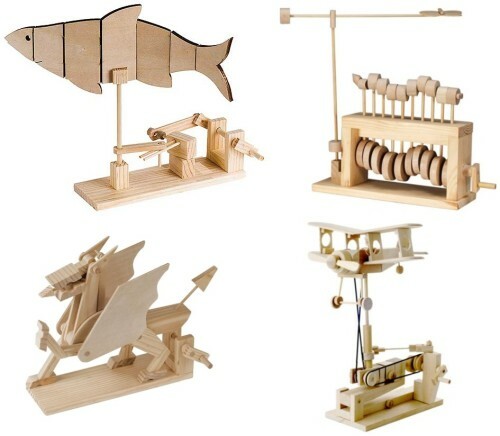 You choose from these wooden models of his genius designs. His unrealized aerial screw (think helicopter) stands approx 15" tall on a 9" square base and has a canvas canopy. 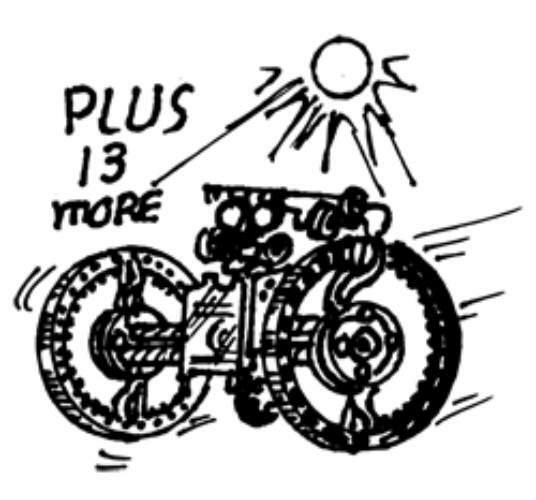 Includes a 12-page manual and all the parts. For ages 9+. You’ll need glue, scissors and a ruler. 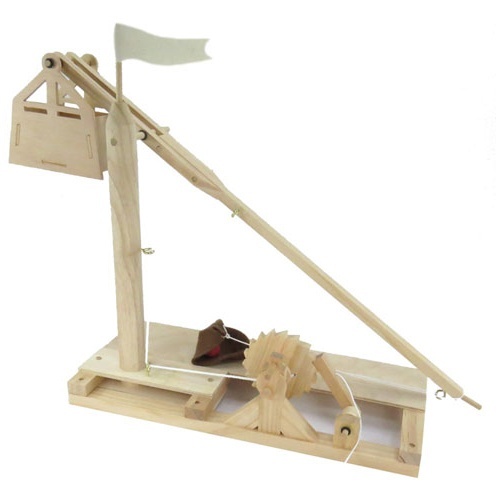 The trebuchet (think catapult) is based on his original 1482 design, stands approx 24" tall x 12-3/4" x 4-1/2" and comes with all the parts, including a clay ball to launch at your favorite model castle, or your sister. 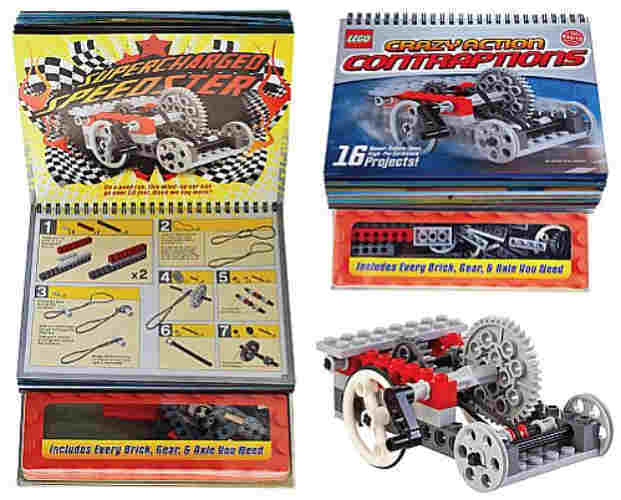 Includes an 8-page instruction book and is for ages 12+. 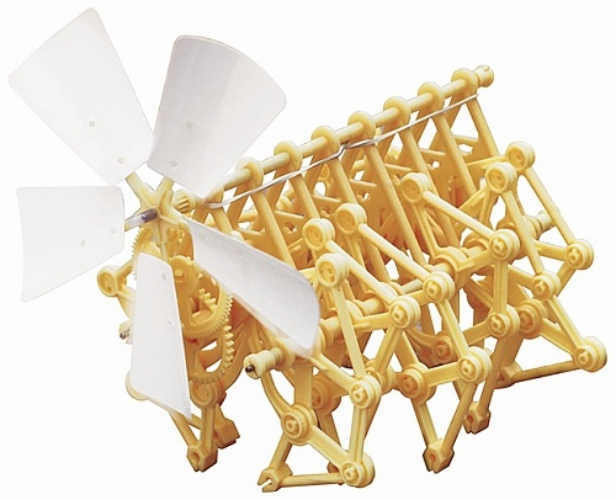 Bring glue, scissors, a ruler and some small clamps.Great resources for STEM activities. Wood or wooden you like to never see another pun on wood or wooden? Too bad--we’re not even trying to quit. 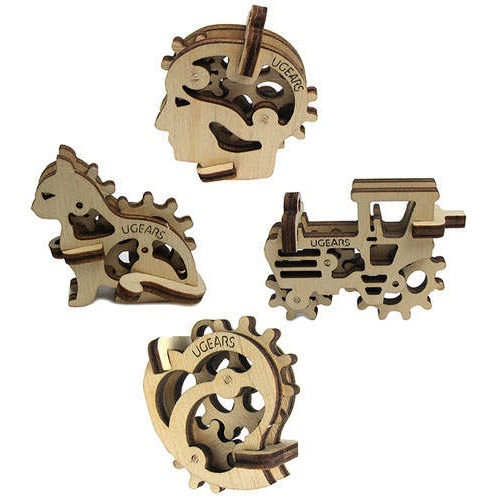 Meanwhile, you can select your favorite from our collection of wooden automatons that you crank to move, all made from laser-cut pieces that you peg or glue together. 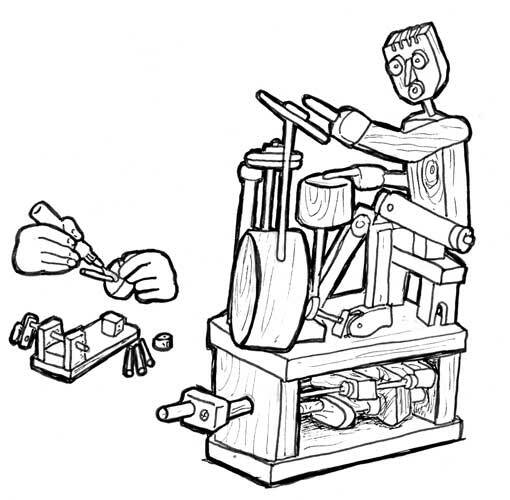 You pick: the wooden clapping monkey, approx 6" x 3" when assembled; the wooden wiggling fish, 10-1/4” x 8-1/4” x 4-3/8”; or the wooden drummer drumming, 6-3/4” x 4-1/4” x 2-3/4”. All come with instruction booklets, glue, sandpaper and wax. 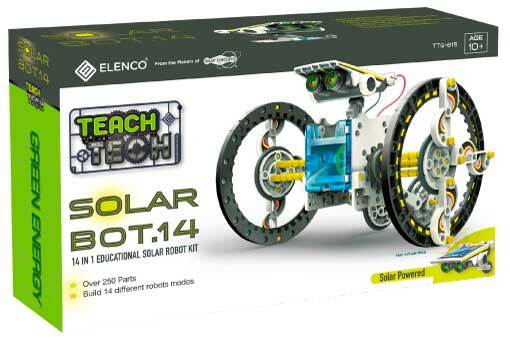 This multi-bot solar kit includes a 1.5V solar cell, a small DC motor and gearbox and a boatload of parts that will let you make (14) different solar-powered projects including: a turtle-bot; walker bot; quadru bot; wheel bot; boat bot; beetle bot; dog bot; auto bot; carb bot; slither bot; roly poly bot; surf bot; and, you should pardon the pun, the row bot. No, really--there's a row bot. Projects come in (2) levels of difficulty and include an 81pp graphic manual. You'll need a hobby knife or a pair of side-cutters, and sunlight. Most projects will be approx 5" tall when assembled. Snap Circuits™ has added Brics, their name for little plastic building blocks that are, luckily, compatible with those other little, inerlocking plastic building blocks you have. 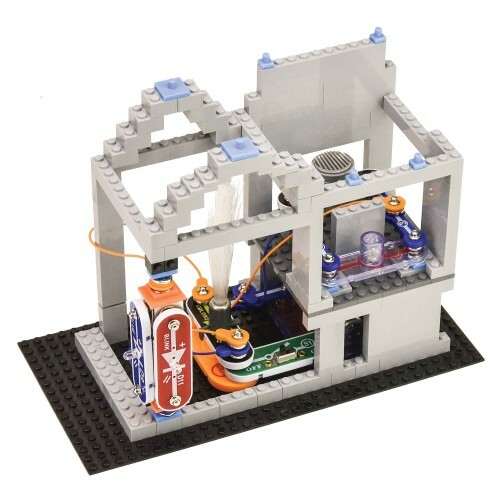 This award-winning 200-piece Bric Structures set has sheets and blocks plus Snap Circuits connectors, blinking and steady LEDs, a slide switch, a fiber-optic bundle, an incandescent bulb and a melody integrated circuit, along with adapter blocks to mate the Snap Circuits components with the brics. 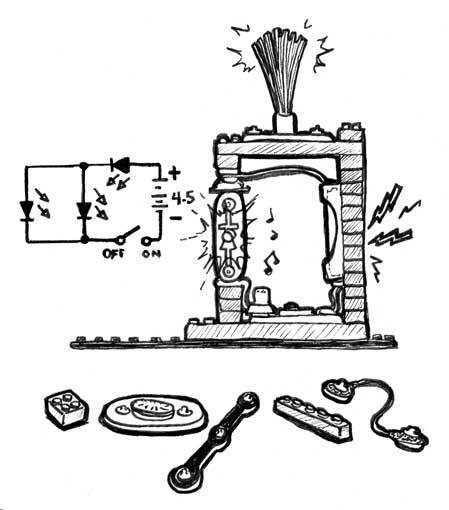 Has instructions to make (26) electrified models, including a house and a tower, on the 10” x 5” base. 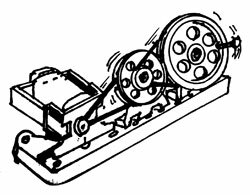 You add a trio of “AA” batteries. For ages 8+. Winner of Six Toy of the Year Awards! 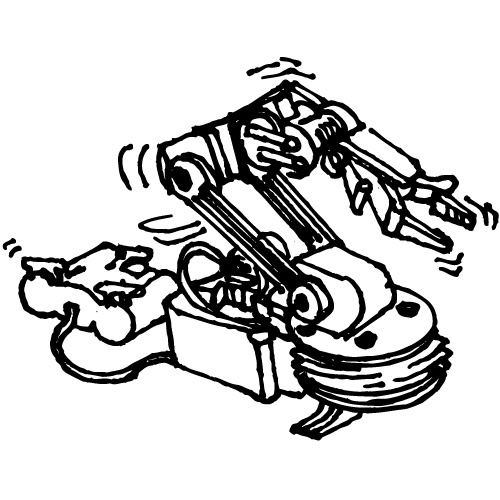 It doesn't get much cooler in the robotic-arm-kit game. The assembled arm is 15" tall x 9" long x approx 3-1/2" wide. It's 2-pronged hand opens to 1-3/4", lifts up to 3.5 oz, swings 120 degrees at the wrist, pivots 300 degrees at the elbow, and sits on a base that swings 180 degrees up and down and rotates 270 degrees, like, well, an arm. Controlled by (5) 2-axis joy-sticks and powered by (4) D-Cell batteries that you provide. 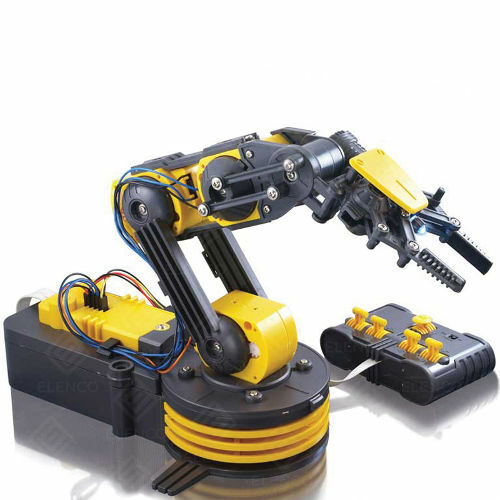 Includes a hand-mounted light and over-torque and gear-breakage alarms, which is more than your arm has. Requires simple hand tools for assembly and is made for ages 13 and up. 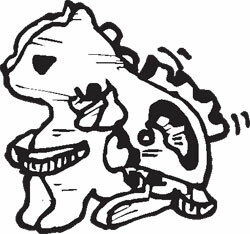 The Junior Scientist™ series brings you the staggeringly clever wind beasts from Dutch artist Theo Jensen. 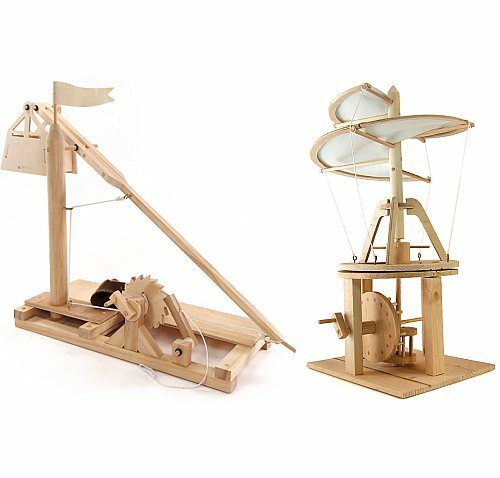 These mini versions of his giant contraptions come with detailed instructions and history of the projects. 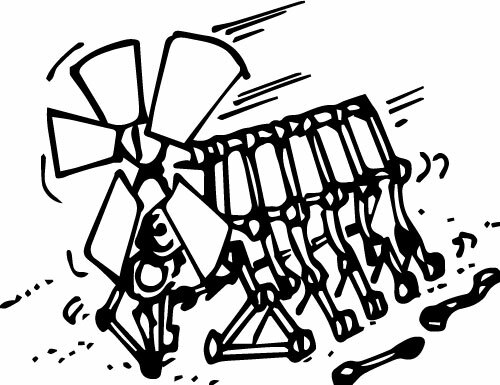 You pick the Strandbeest (strand as in beach because it was made to walk on sand), an 8" x 6-5/8" x 4-1/4", 117-part wind-powered automaton; or the Rhinoceros Mini-Beest, a 3-3/4" x 6-1/2" x 6", 128-piece wind-powered automaton. For ages 8 and up, the only tool you need is a scissors. Lay Siege To The Doghouse! Right after you build your own working medieval catapult or trebuchet. 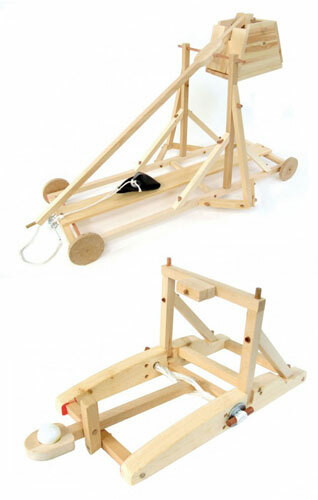 All you’ll need is glue, scissors and a steady hand (plus a small bag of marbles or rocks or something as a counterweight for the trebuchet) to construct these wooden, Canadian-made siege engine kits. 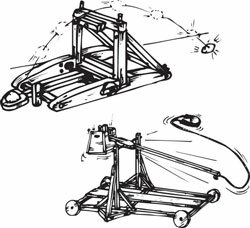 The catapult stands 6” tall x 5” wide x 10” long and will toss assorted stuff 15 feet or farther, depending upon the stuff. 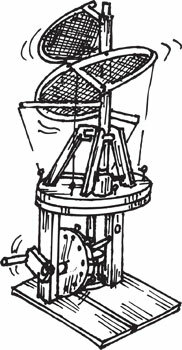 The finished trebuchet will be 26” long x 18” wide x 24” tall and will propel small objects (meatballs?) 20 feet or more. 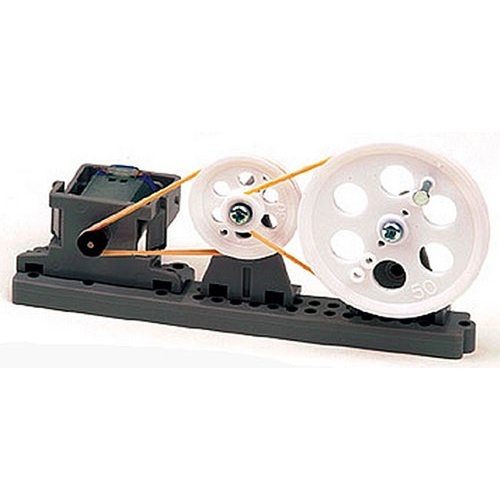 Both include detailed instructions and are great resources for STEM activities. Note: Please don’t propel small mammals, and please don’t put anyone’s eye out. 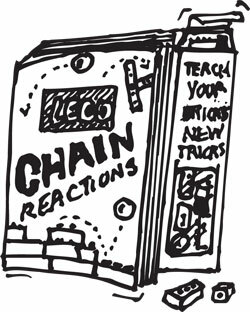 Make a whole bunch of fun and instructive Lego® machines/chain reaction models like marble runs and mousetraps involving ramps, buckets, funnels balances and much more. 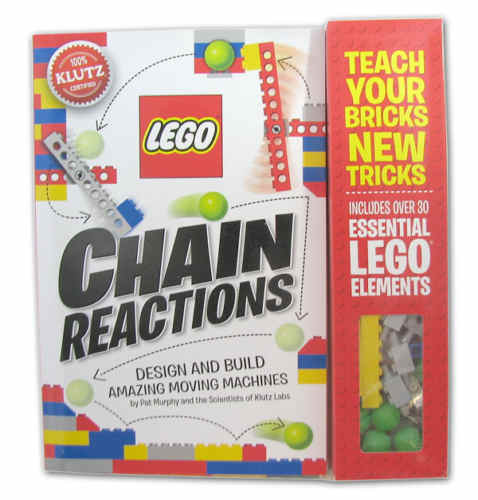 Comes with (33) Lego® elements, (6) Lego® balls, a dozen paper props, and a 78-page instruction booklet for (10) machines. You add a few common household items. 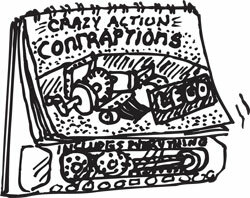 Includes suggestions for more complicated devices if you have your own Lego® pieces, and if you don't, what are you waiting for? ! WARNING: CHOKING HAZARD–Small Parts. Not for children under 3 yrs.